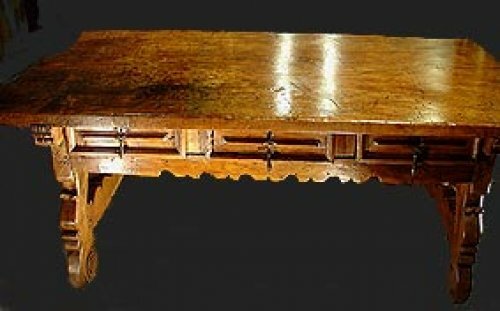 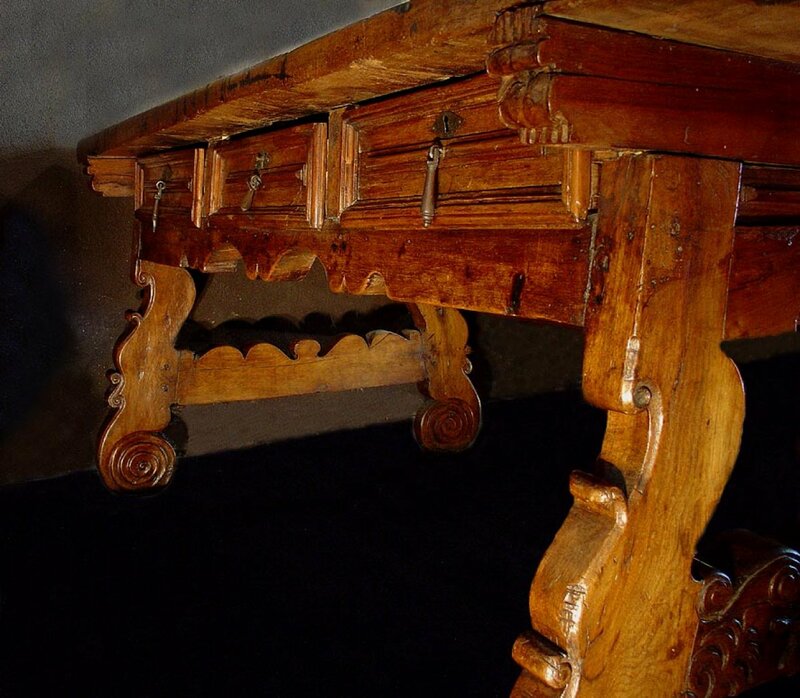 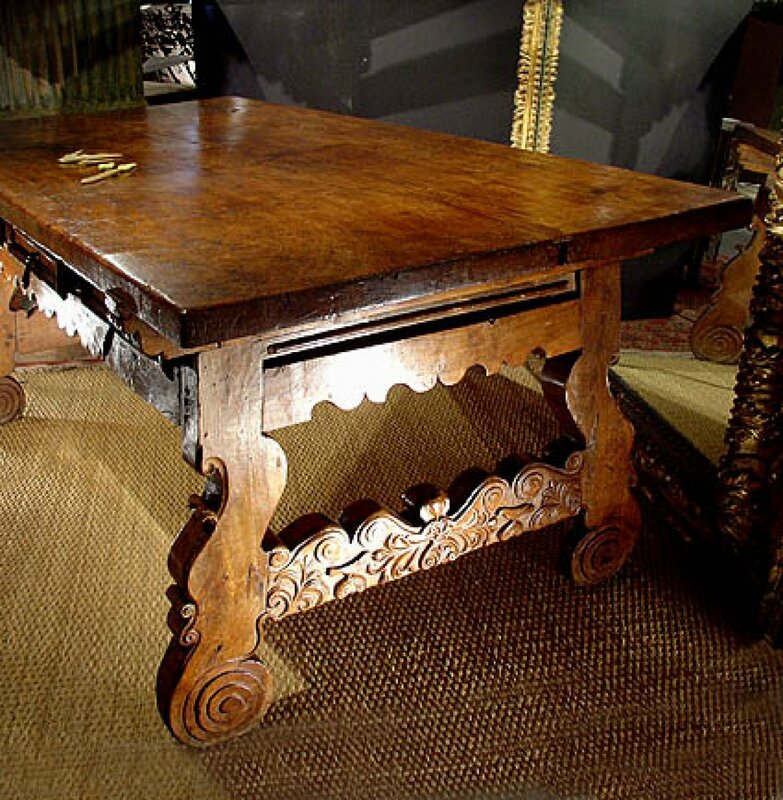 Large 17 th C. Desk, Spain , Philippe IV ( during Olivares), in walnut (one single board for the top ), double-sided, six drawers (three on each side). 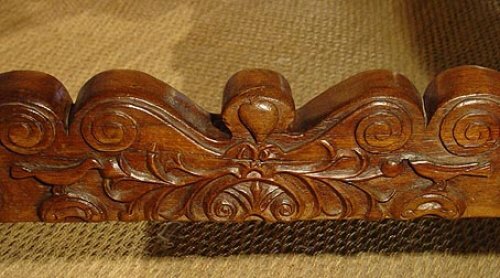 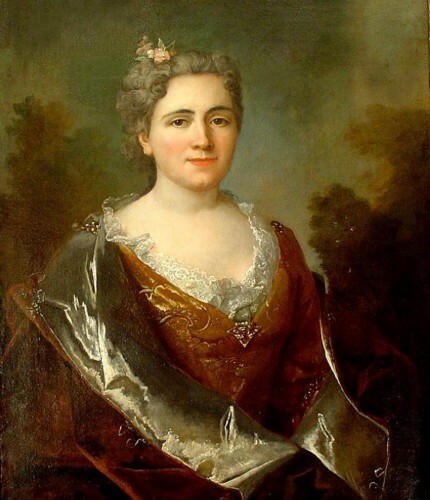 Designed at the time as a wedding present, whose attributes are four doves and two hearts. Scrolled feet . 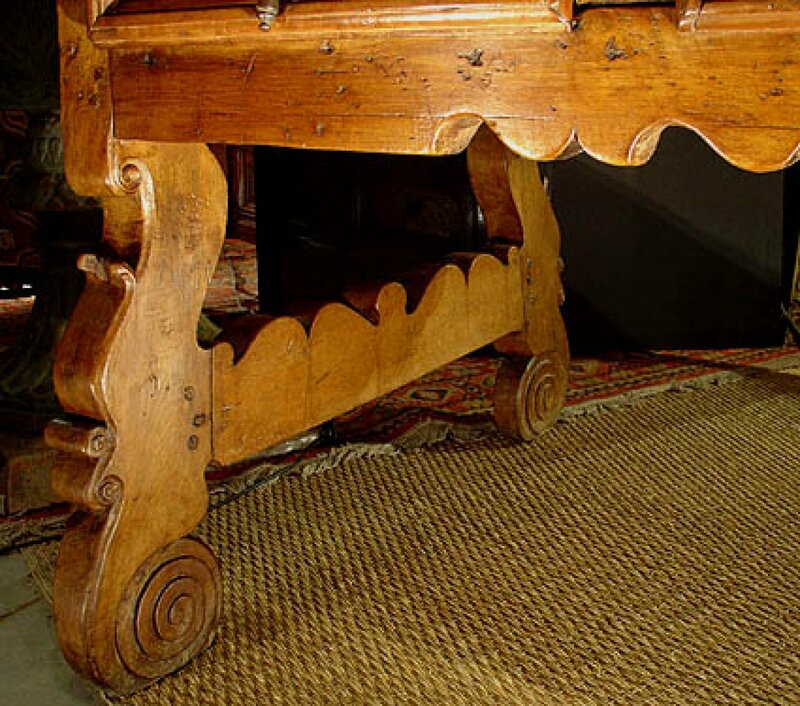 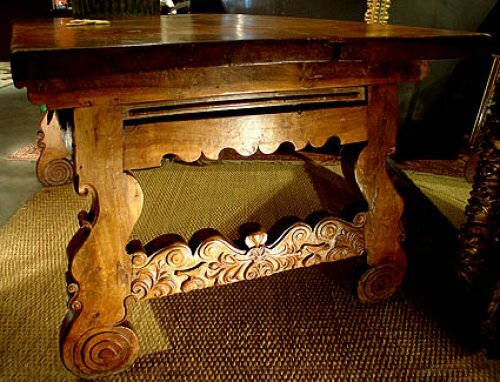 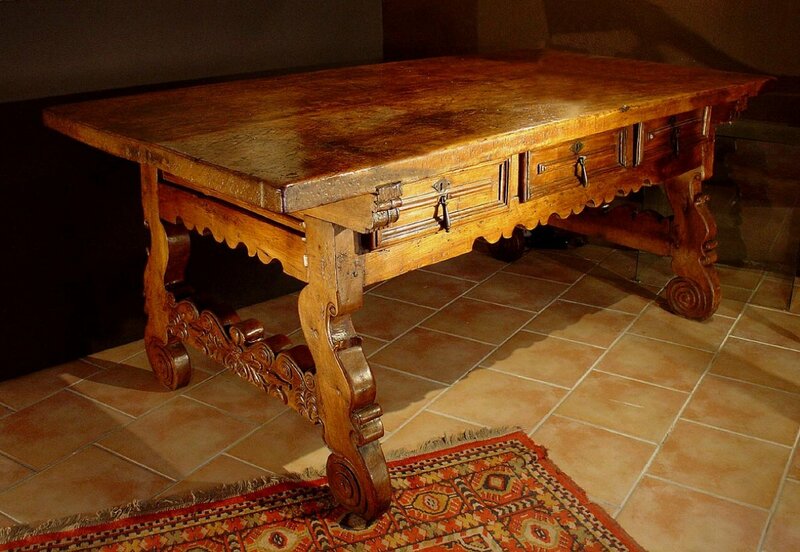 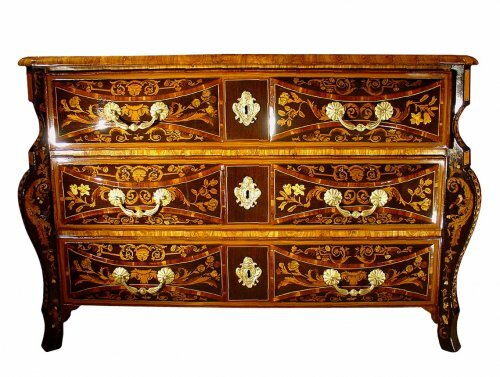 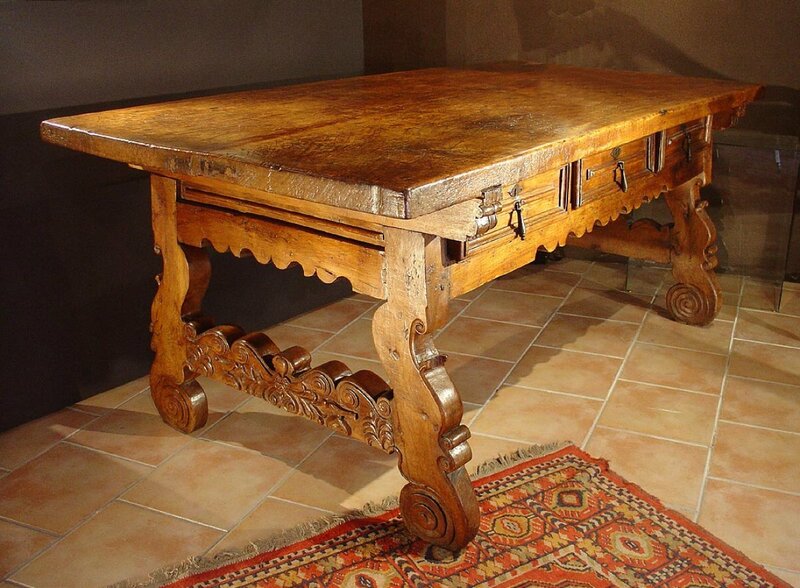 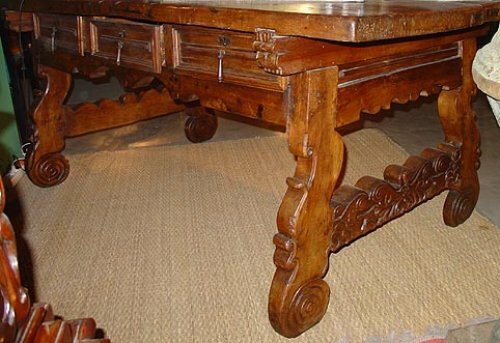 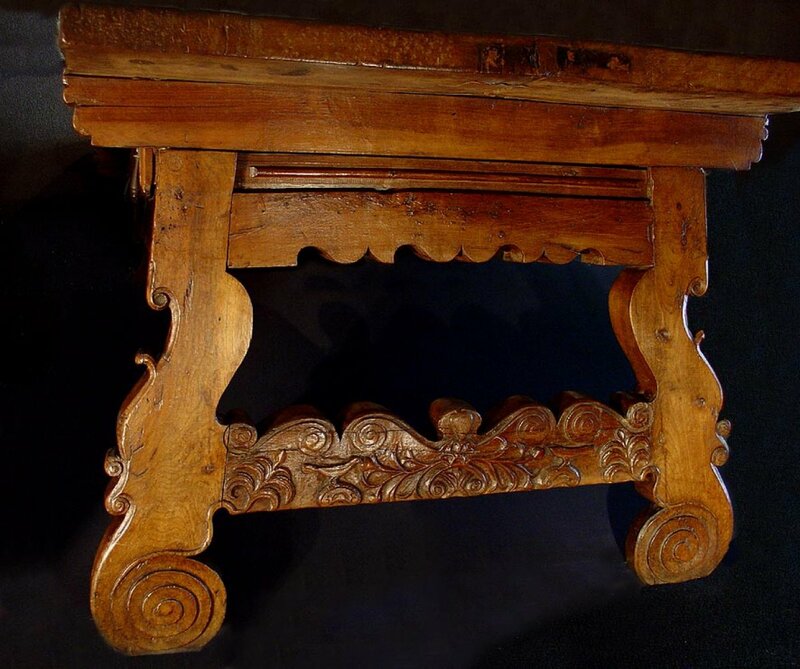 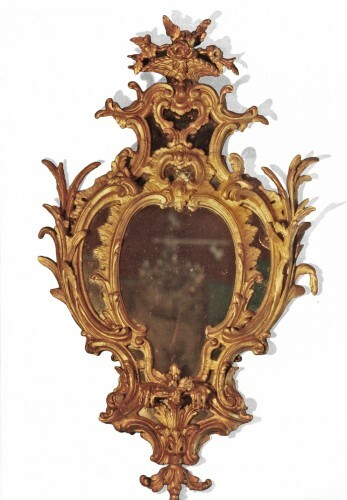 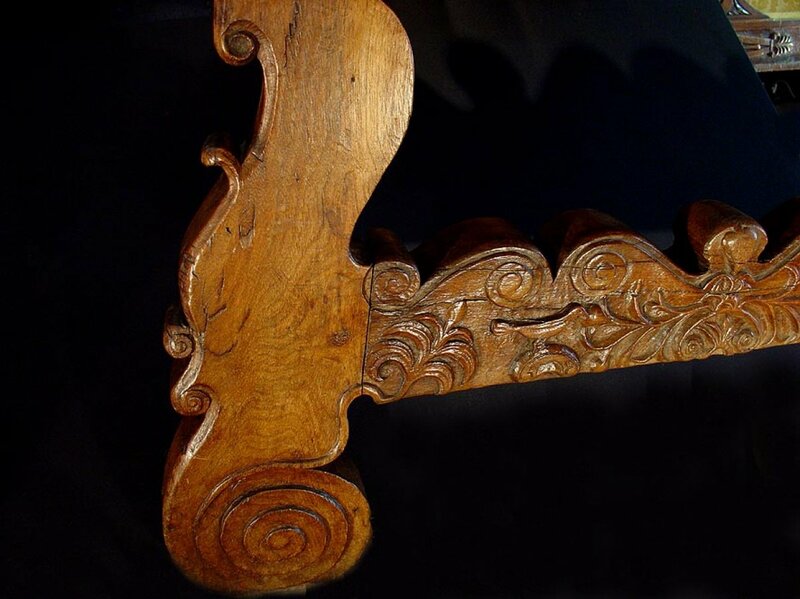 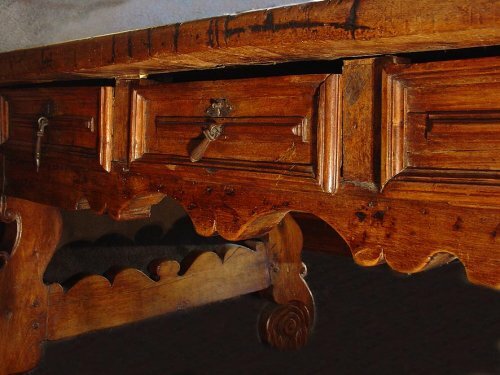 Important piece of furniture, typical with exceptional patina, good original condition.